Typically remove or delete an app on Apple Watch is a very simple process. 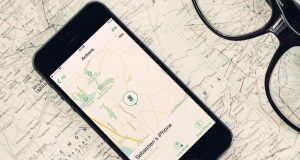 However, some users encountered a strange issue on the Apple Watch that they can not delete an app from the device or even on the paired iPhone. First let’s sort out the app delete steps to find out what went wrong. 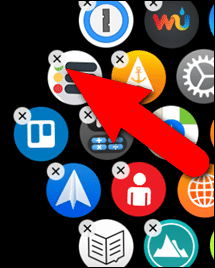 Step#1 Click the Digital Crown to go to Apple Watch Home screen, if you are not already there. Step#2 Next up, you will need to press and hold on the app icon which you want to delete. Step#4 Now, tap on Delete App in the popup to confirm. 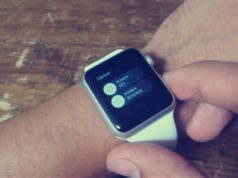 Obviously, these steps nothing wrong unless you want to delete those standard, built-in apps on the watch, such as Settings, Maps, Weather, Alarms, Timers, and Stopwatch and the Time icon that brings you back to the watch face. So the issue some users encountered is that they never even see the ‘X’ button appers in Setp#3. 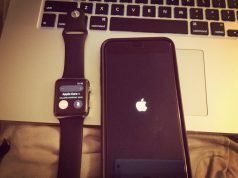 If you happen to come across such a strange thing, do not panic, this does not mean your Apple Watch occurred a software or hardware failure, you only need a few simple settings to fix it. If the Restrictions feature is currently being enabled, that basically prevent users from deleting their Apple Watch apps. So just disable the Restrictions feature on iPhone to retrieve the ‘X’ button when you delete Apple Watch apps. On your iPhone, go to the Watch app, and visit Settings > General > Restrictions. If the option is available, turn it off. After this, you’re done. However, I’d recommend disabling Automatic App Install (General > App Install > toggle Automatic App Install to Off) because once the Restrictions is back in charge, it will reinstall your deleted apps. 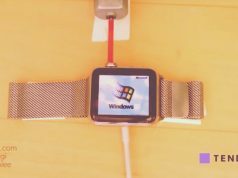 Course you can also dierectly delete those apps from Watch app on the paied iPhone. Step#1 Tap the “Watch” app icon on your phone’s Home screen. Make sure the My Watch screen is active. If not, tap the “My Watch” icon at the bottom of the screen. Step#2 Scroll through the list of apps on the My Watch screen until you find the app you want to remove from your watch and tap it. Step#3 When an app is on your watch, the “Show App on Apple Watch” slider button is green and sits on the right. Tap on the button to remove the app from your watch. A message temporarily displays while the app is uninstalled and the slider button moves to the left and turns black.